In May 2015, Butlins launched 117 brand new ‘retro chalets’ at its seaside resort in Minehead. It features bespoke furniture from leading FF&E supplier Curtis Furniture & Doors throughout. Inspired by Sir Billy Butlin’s original 1930s chalets, the new high-end chalets were designed to bring the family together in a sociable, well-planned space. They were developed in consultation with Mumsnet, after a survey of more than 1,000 mums. 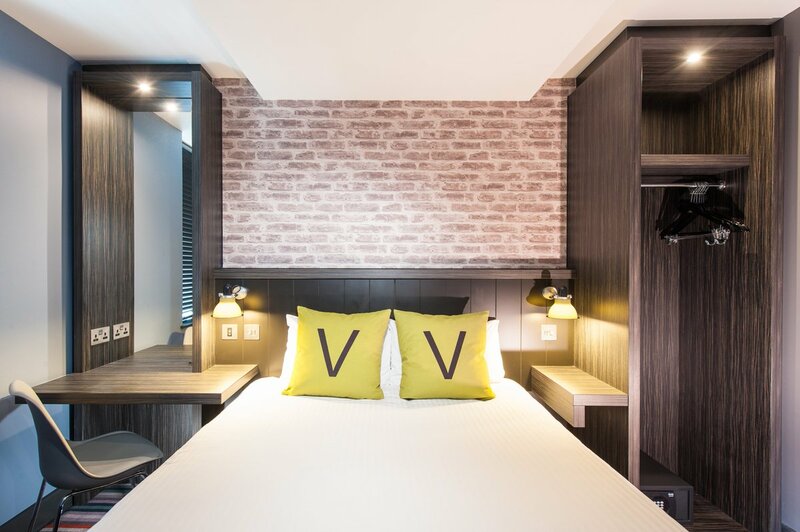 Curtis worked with Fusion by Design, a leading interior design company to the leisure industry, to create bespoke furniture for the bedrooms and open-plan living areas – and vanity units for the bathrooms. We supported them in value engineering the furniture – to ensure their design intent was delivered in full, within a tightly-controlled budget. The bedrooms feature open wardrobes with vibrant coloured shelving in a durable MFC finish. The wood-panelled headboards in a vibrant green, contract paint finish are equally durable – and provide a striking focal point. The open plan living area is designed with family time in mind. Curtis supplied bespoke corner sofas, sofas, chairs and stools – along with TV units, dining tables and chairs and coffee tables. The colourful seaside theme runs successfully through every item of furniture. All pieces were developed in tough, durable materials to suit the heavy contract environment – and stain resistant contract fabrics were a prerequisite for the upholstery. 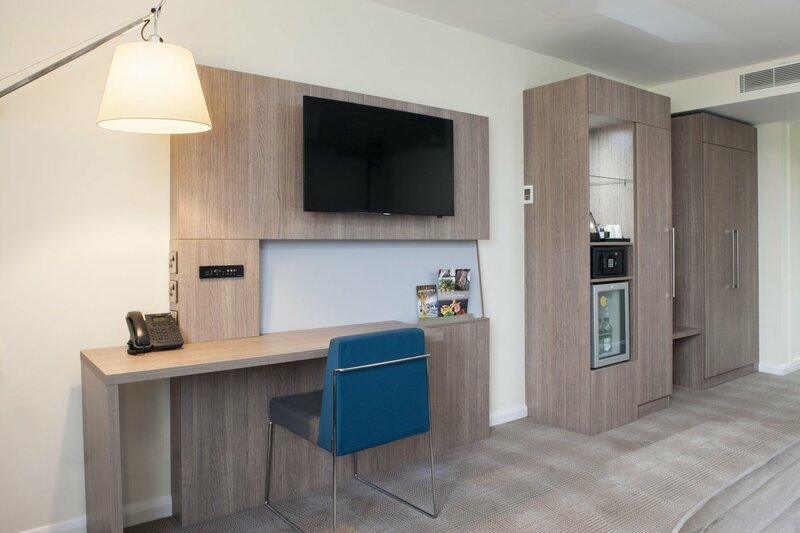 View more project images on our Butlins case study page.